I engage in no hyperbole whatsoever in saying that there has never been a movie quite like ALPHA about man's relationship with man's best friend. Yes, there are innumerable examples of canine centric dramas that have delicately and poignantly relayed how owning a pet can be a most special and life changing gift, but ALPHA has much vaster ambitions than that. The pitch for it could not be any simpler: A young hunter that's separated from his family is befriended by a dog and both learn to rely on one another to stay alive while facing the dangers of an untamed wilderness. Oh...I almost forgot...the story also takes place 20,0000 years ago. 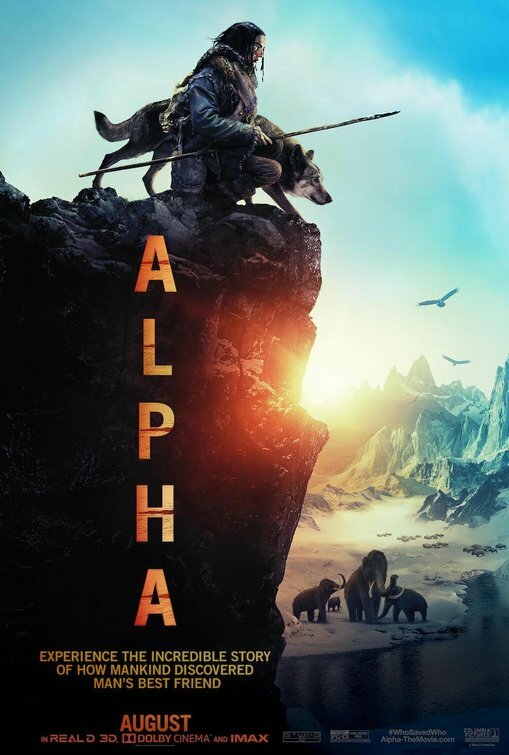 ALPHA is a most tantalizing hybrid film: It's part historical epic, part outdoor survival thriller, and part boy and his dog drama, the genesis of which came from the mind of Albert Hughes, who decades ago began his directorial career with his brother with searing urban dramas like MENACE II SOCIETY and DEAD PRESIDENTS. The last film he directed with sibling Allen was the underrated 2010 post apocalyptic drama THE BOOK OF ELI, but since then the pair have gone into solo filmmaking careers, and ALPHA could not be more fundamentally different for Albert than just about anything previous on his resume. This Paleolithic adventure tale/coming of age thriller harkens back to the type of no-nonsense and old fashioned spectacles of a bygone era, ones that were immersive and fully engaged audiences in a state of natural awe and wonder in their sights. ALPHA is perhaps more beautifully shot and evocatively atmospheric than it has any business of being, and the film's graphic novel-like visual dynamism is well matched with its atypical story of a teen finding an unlikely friend and ally while trying to stave off death. Even more thanklessly bold is Hughes' decision to helm this tale of the distant past with all of its characters speaking in an unidentified tribal language, replete with subtitles (a well guarded secret kept well away from audiences by the studio's somewhat falsely slanted advertising campaign, pitching this movie as family friendly fare). As to the historical accuracy of said language - and with any of the other production details - I'm ill equipped to verify its authenticity, but the boldness of Hughes' creative gamble here pays off in allowing ALPHA to feel genuine to its time and place. It also helps to cement what a Herculean task young star Kodi Smit-McPhee does here playing the aforementioned wilderness survivor. He gives a remarkably layered and humanistic performance that's oddly relatable despite the fact that he's speaking what's essentially pre-history gobbledygook throughout. Hughes thrusts us into the thick of things right from the get-go back to Europe of twenty centuries ago, during which time we are introduced to a grizzled and wise tribal lead, Tau (Johannes Haukur Johannesson), whose main position is to acclimate and oversee a new generation of hunter/gatherers. His son, Keda (Smit-McPhee), isn't quite the chip off of old dad's block, mostly seeing as he appears timid in stature and seems unwilling, for example, to kill animals for food, which is a no-no for his clan, especially considering that hunting is life for them. Fate steps in and in an ugly way when Keda takes a disastrous tumble off of a steep cliff and lands hard on a narrow ledge hundreds of feet below that's completely inaccessible. Believing that his son is dead, the grieving Tau leaves with his hunting party, but it's soon revealed that Keda did indeed survive his fall, but with a severely injured foot. Miraculously, he's able to secure a way off of the cliff (albeit via some preposterously convenient weather) and uses some MacGyver inspired know-how to concoct a makeshift cast for his lower leg. He's then faced with the extraordinarily daunting task of trying to find his way home - sick, injured, and lacking in food and water - in what's assumed to be a horrifyingly long distance with the advent of an Ice Age fuelled winter arriving. Along the way, though, Keda find himself forming a bond with a wolf that was initially part of a pack that was trying eat the desperate lad (Keda injured the wolf while trying to defend himself, and the rest of the pack bailed on the lone and wounded animal). Keda, being sympathetic to the injured pouch, decides to tend after his wounds and help him recover. Initially, tensions run high, seeing as the wolf wants nothing to do with Keda, but eventually their icy relationship thaws and Keda finds himself being constantly followed by "Alpha" (the name he gives him) and the pair decide to team up for the challenge ahead. ALPHA might be the most handsome production that Hughes has ever crafted. Alongside the painterly eye of cinematographer Martin Gschlacht, Hughes has a field day here envisioning the frequently stunning natural wonders of a time long since past of an unclaimed and uncivilized planet. ALPHA is filled with eyegasmic and lush vistas and panoramic shots of a remarkably varied and foreboding terrain (some of which looks like it was shot on location, some appearing to be the product of bravura VFX). There's a sweeping sense of awesome pageantry to this film that easily helps submerge viewers in its era, and ALPHA has an immediate sense of massive scale and dangerous and natural splendor that's positively enrapturing. 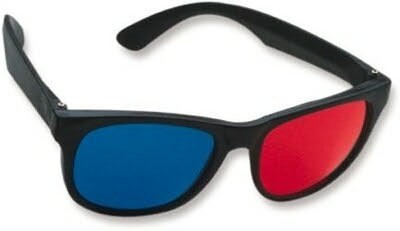 It's also a very rare breed of modern blockbuster that demands to be seen in 3D and on as big of an IMAX screen as you possibly can to do the imagery full justice. That's something that you simply can't say about many modern summer blockbusters. That, and ALPHA still manages to feel classical despite its cutting age and modern technical artifice. And the effects work here is, as already mentioned, astonishing (obviously, there are countless sequences here when Alpha is both played by a real wolf and a CG one, but the marriage between the two is pretty seamless overall). There's a wonderfully inviting sense of unbridled imagination on display in ALPHA, and some of the individual scenes of Keda and Alpha fending off the ravenous advances of frightening predators (like one exhilarating moment showcasing a three way battle with a sabre-tooth tiger) are nail-bitingly tension-filled. The heart of the film, though, resides in the budding friendship between Keda and Alpha, and Smit-McPhee has the very difficult performance task of showing his character as a deeply pain stricken and frustrated adolescent that's tasked with the unimaginable of preserving his life amidst multiple dangers. His performance is also very physical, suggesting the tumultuous emotional journey that Keda is forced to endure throughout while being haunted by home sicknesses. Smit-McPhee is the dramatic anchor that holds the film together even while logic straining plot developments rear their ugly heads. The overarching narrative trajectory of ALPHA is hardly novel (no need to predict whether or not Keda and Alpha will make it out alive) and often the subtitled dialogue can be on the heavily clunky and wooden side. 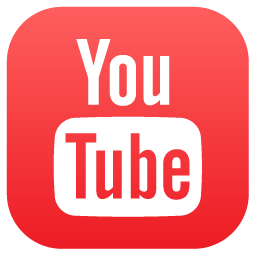 Formulaic story beats and potentially questionable scientific accuracy don't hurt ALPHA overall. I go to see films like this for their ethereal levels of primal escape. All in all, I admired the boldness of Hughes' overall vision here in engineering a canine-fuelled survival yarn the likes of which I haven't really seen before (I also appreciated the studio - questionable marketing aside - in allowing Hughes to follow through completely on his daring choices here). ALPHA feels pleasantly old school and straightforward (it's like one of those Classic Illustrated comic book historical adventures come lovingly to life), but it rarely makes the gluttonous and excessive mistakes of modern franchise-hungry studio fare. And as a tale of self-preservation and how Paleolithic man discovered, tamed, and domesticated his best friend, ALPHA is thoroughly rousing and sumptuously realized as one of the overlooked gems of the summer film season.